What You Need to Know About GMOs (genetically modified organisms) | Healthy Eating Rocks! An important proposition will be on the November 2012 ballot in California which requires the labeling of genetically modified foods. This proposition, if it passes, could change the face of American agriculture. Biotech companies and food manufacturers will be spending between 50 and 100 million dollars and saying just about anything to prevent this from passing. Read on for the most commonly asked questions about GMOs. Are genetically modified organisms in the foods you eat? What do canned chicken soup, fast food French fries, sodas, potato chips, corn flakes, canola oil, salad dressing, corn chips, apple pie, and tofu all have in common? They all most likely contain GMOs (genetically modified organisms) also know as genetically modified or engineered foods. Genetically modified organisms are plants or animals created through the process of genetic engineering. GMOs have a piece of DNA from a totally different species, such as viruses or bacteria, forced into their DNA. 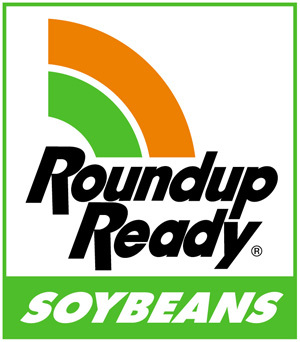 Genetically engineered soybeans, for example, have DNA from bacteria and viruses sliced into their DNA to help them withstand the onslaught of weed killers such as Roundup. Genetically engineered corn has DNA added so that it has a pesticide built right into it. This process creates a whole new species of plant that would have never occurred in nature. Hybrid foods are completely different. Hybrids are created when cross pollination occurs between plants. This process can be facilitated by man or it can occur spontaneously in nature. Even though GMOs have been in our food supply since 1996, most people in the U.S. know little about them. Actually, the 2006 Pew Initiative on Food and Biotechnology poll found that only 26% of American consumers believe that they have ever eaten a food that was genetically engineered. The truth is most people, including babies and children, eat them every single day. As of 2012, nearly all soy beans, corn, canola, cotton, and sugar beets are GMO. From these crops, products such as corn oil, canola oil, cottonseed oil, high fructose corn syrup, sugar, and many more are created and added to processed foods. This is why nearly 80% of processed and most fast foods contain GMOs. Other crops that are genetically engineered include Hawaiian papaya, a small amount of zucchini and yellow squash, and alfalfa. 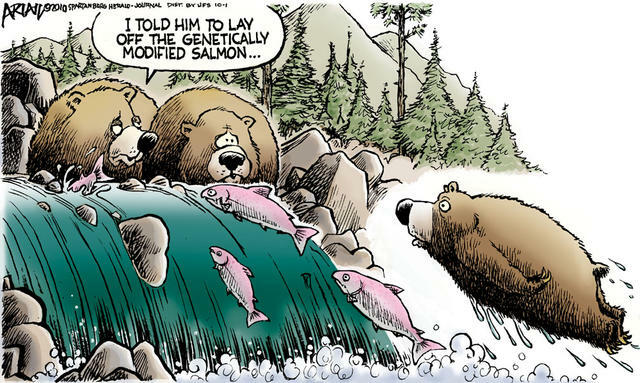 The Food and Drug Administration (FDA) is also considering approving a GMO salmon, which would grow much larger and faster than regular salmon. Despite what the food manufacturers and biotech companies might say, there is little research on the long-term effects of GMOs on human health and the environment. The FDA has allowed GMOs into our food supply with only the research and assurances of safety from the biotech companies that create them. Interestingly, the person at the FDA responsible for this decision was Michael Taylor, former attorney for Monsanto (the largest producer of GMO seeds). Independent research has found that several varieties of GMO corn caused organ damage in rats. Other studies have found that animals were losing their ability to reproduce. 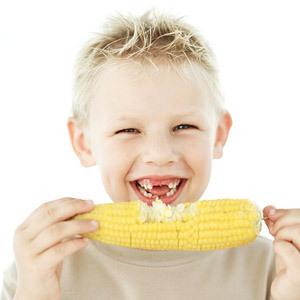 There are also concerns that GMOs can increase allergies or cause immune system problems. Environmental issues are also a cause for concern. GMOs allow farmers to use more weed killers, exposing both us and the environment to more toxins. Super weeds and super bugs that are resistant to the weed killers and the pesticides built into GMOs are now showing up. 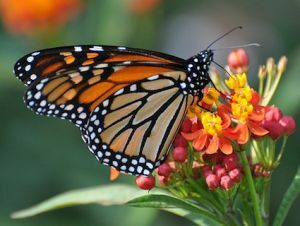 The monarch butterflies are on the decline due to GMO farming which kills the milkweed where they lay their eggs. In addition, GMO crops can cross pollinate with non-GMO crops, irreversibly changing the face of plant life with unknown consequences. Are genetically modified foods labeled? The U.S. is one of the only developed nations that does not require labeling of GMOs. Fifty countries including all of Europe and even China require labeling of genetically modified foods. Many European countries have banned GMOs. Will labeling genetically modified foods increase the cost of food? The California Right to Know Genetically Engineered Food Act will not increase the cost of food for you or food producers. It simply adds a label to genetically engineered food. Companies change their labels all the time. Remember, when companies where required by law to add trans fats to labels, the cost of food did not go up. What can I do to eat fewer GMOs? Vote “yes” on Proposition 37, the California Right to Know Genetically Engineered Food Act, which will require that genetically engineered foods are labeled. It will be on the November 2012 ballot. Once GMOs are labeled, we can make an informed choice. We have a right to know what’s in the food we are eating and feeding to our families. Visit carighttoknow.org for more information about the proposition and the truths vs. myths about it. Buy Organic. All USDA certified organic foods are free of GMOs. Avoid nonorganic products that contain GMO foods including soy, corn, canola, cottonseed, and sugar beets. Read labels. If the food contains high fructose corn syrup, corn oil, soybean oil, cottonseed oil, canola oil, or sugar, it probably contains GMOs. 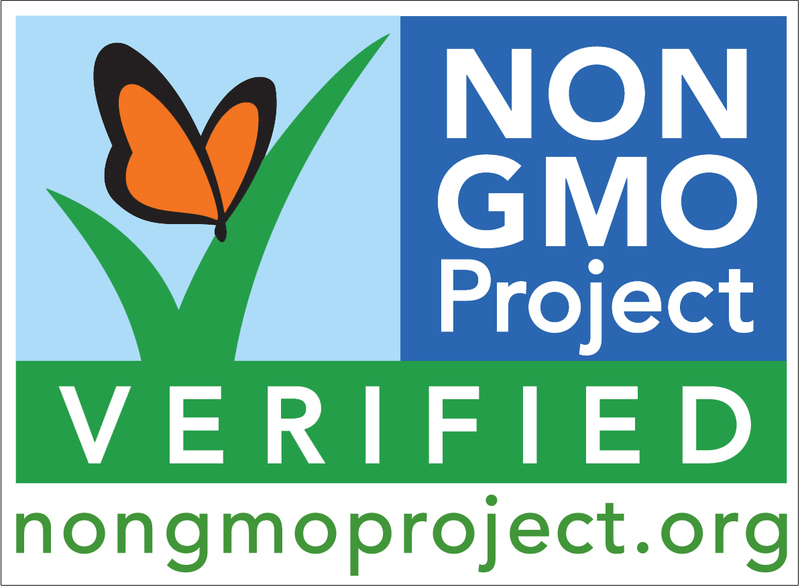 Look for the “Non-GMO Project Verified” label. Some companies have voluntarily labeled their foods. Shop at Trader Joe’s. All of their produce and all Trader Joe’s brand foods are sourced to be free of GMOs. So look for “Trader Joe’s” on the label. Try Whole Food Market. Their 365 Everyday Value labeled foods are sourced to be free of GMOs. Try Follow Your Heart labeled foods. They are also sourced to be free of GMOs. Use the free iPhone app Shop No GMO. Go to nongmoshoppingguide.com and download their shopping guide. Visit nongmoproject.org for help choosing products without GMOs including supplements and vitamins. The Future of Food is an important documentary about unlabeled, patented, genetically engineered foods. You can watch it here for free. Here is a clip from the above documentary about the process of genetic engineering. Even Dr. Oz supports the labeling of GMOs. See here. Bill Maher supports GMO labeling too. See here. Why Genetically Modified Foods Should be Labeled, LA Progressive.com. Go to earthopensource.org Then click on “GMO Myths and Truths” in the Featured Report section. New analysis of a rat feeding study with a genetically modified maize reveals signs of hepatorenal toxicity. Séralini, G.-E. et al. Arch. Environ Contam Toxicol., 52: 596-602, 2007. A three generation study with genetically modified Bt corn in rats: Biochemical and histopathological investigation. Kilic A and Akay MT. Food and Chemical Toxicology, 46: 1164-1170, 2008. Biological effects of transgenic maize NK603xMON810 fed in long term reproduction studies in mice. Velimirov A et al. Bundesministerium für Gesundheit, Familie und Jugend Report, Forschungsberichte der Sektion IV Band 3/2008. Copyright © 2012 Carole Bartolotto, MA, RD. All rights reserved. This entry was posted in Genetically Modified Foods, Most Popular Posts and tagged about gmo, foods that are gmo, genetically engineered, genetically engineered food, genetically engineered foods, Genetically modified crops, genetically modified foods, genetically modified organisms, gentically modified organisms, gentically-engindeered-foods, gmo food, GMO foods, gmo gmo, GMOs, how to avoid gmos, Proposition 37, the California Right to Know Genetically Engineered Food Act, what are gmos, what is a gmo, what is a gmo food, what is gmo food, yes on prop 37 by Carole Bartolotto, MA, RD. Bookmark the permalink. Thanks Vicky! As long as the products have a Trader Joes’s label they are sourced to be free of GMOs. Wonderful, informative article! More and more people need to read this to make an intelligent decision about what they and their families put into their bodies! 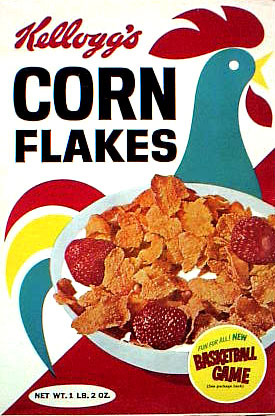 I’m sure you researched this carefully, but the “Independent research has found that several varieties of GMO corn caused organ damage in rats” study has been widely discredited. They used faulty statistical methods, despite criticism of their early studies about the same problems that they were forced to withdraw. It’s widely cited because people want to believe there are problems, but you wont’ find a reputable scientific organization with any experience in this area that will back up those claims. Darren it really depends who you talk to. There is a lot of spin on both sides. My experience has shown me that you cannot always trust what you read. Check out this link for another perspective. I cannot thank and commend you enough for your ethics and your desire to shine a light on the poisoning of an entire country for the sake of lining the pockets of the few in an industry in which so many have sold out. Where America goes the rest of the world often follows so this is equally important for us in other countries when GMO pushers place pressure on our regulatory bodies and point to US associations to say ‘see, they say it’s safe’. All the best in your quest to set up a newly ethical and truly scientific body that really looks into what really works nutritionally. Blessings.